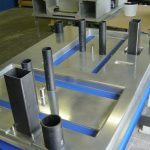 Home Features CASE STUDY: Cold Forming Technology, Inc., and West Michigan Spline, Inc.
CASE STUDY: Cold Forming Technology, Inc., and West Michigan Spline, Inc. Cold Forming Technology, Inc., and West Michigan Spline, Inc., chose to lead by example and show what happens when two similar companies opt for collaboration instead of competition. John Donnelly, president of Cold Forming Technology, Inc., and Gary Hill, president and owner of West Michigan Spline, Inc., are known around the Rochester- and Lake Michigan-areas as collaborators in the spline rolling industry. However, getting to that point wasn’t easy. It took a great deal of trust building and a willingness to work together to get to where those two companies and the men behind them are today. 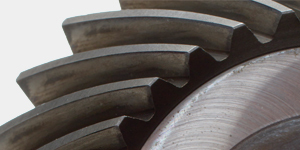 Cold Forming was founded by Donnelly and his team of fellow gear machine and tool manufacturing veterans in Sterling Heights, Michigan, in 1992. Initially, its mission was to provide customers with high-quality spline and thread rolling tools to meet the growing demand for increased tool life and cost savings. 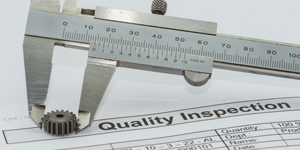 With more than 20 years of experience behind its founders, it was able to accomplish this while providing outstanding tool performance. 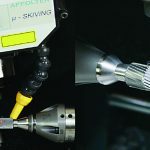 Shortly after opening shop, Cold Forming’s spline and thread rolling tools outperformed their current competition by improving tool life by 40 to 80 percent, and some by as much as 1,000 percent. 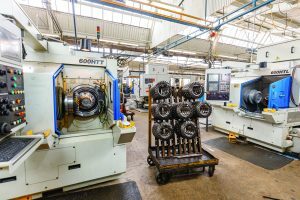 Cold Forming began to expand into areas Donnelly and his team were already familiar with from their previous experience in the industry, including automotive, off-road, farm equipment; anything that required a drivetrain. Following a period of expansion into industry segments in which the team was highly experienced, customers began asking to have custom prototypes made. 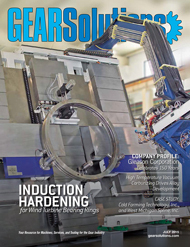 This function quickly grew to encompass roughly 40 percent of Cold Forming’s current business. Eventually, high customer demand for rolled parts led the company to consider building and selling spline rolling machines. They had the required knowledge and expertise, but such a shift would be a significant undertaking. It would require a completely different set of resources. The decision was made to remain in the tool industry and stay out of the machine business. 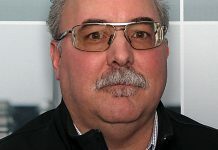 Hill started West Michigan Spline in 1987 after spending his career as a service engineer and a research and design manager. 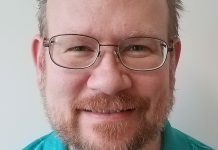 For more than 20 years, he acquired intimate knowledge of the spline rolling industry, received patents on tool designs, and directed the design of the machines themselves. 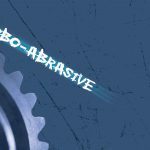 However, after years of battling his previous employer over creative and innovative differences, he was confident he could build a better machine — in both design and function — and that he could convince axle shaft manufacturers to buy his new concept. Hill’s mission was to build spline and thread rolling machines that would alleviate dangerous and difficult situations often associated with tool changes. This came from a work-related injury that befell Hill early on in his career. His vision was to create a spline rolling machine made without tie bars. 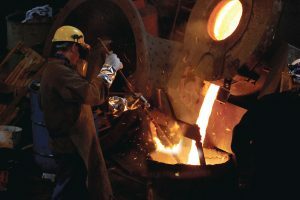 Instead of expensive castings, it would use a weldment that could accommodate the growing demand for increasingly larger and longer tools while remaining just as rigid as castings, if not more so. 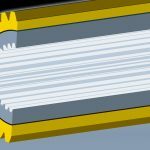 This idea materialized in the form of a weldment that could be easily modified to accept changes and can be delivered sooner and is more competitive. 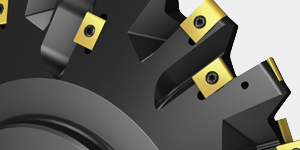 However, as spline lengths got longer, part diameters got larger, and hydraulic forces increased so did the need for longer, larger tools reaching up to 72-inches in length. Hill needed to accommodate these changing needs. In other words, the strength comes from the gap press frame, and they’re all tied together with the rest of the weldment to perform as a spline roller. 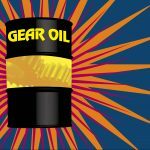 Selling tools and machines for major automotive programs generally requires the machines and tools are a part of the entire package. West Michigan Spline only sold machines and had to buy their tools from Hill’s competitors. This was not a desirable position to be in. On the other hand, Cold Forming only sold tools. Cold Forming had the resources to methodically acquire equipment and begin promoting their new ideas in spline rolling tool manufacturing. 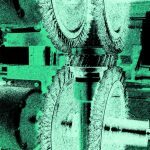 West Michigan Spline, which concentrated on rebuilding all makes of spline rolling machines, was on its own with few resources and growing ideas for innovation. Now, all they needed was a collaboration to take their businesses to the next level as spline-rolling industry leaders. Essentially, Hill’s competitors were able to provide the entire package of both tools and machines, thus taking full responsibility and giving them a competitive advantage over West Michigan Spline. 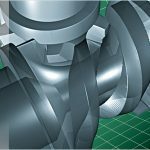 Cold Forming was at a similar disadvantage because it did not manufacture spline and thread rolling machines, even though they were a supplier of the finished parts during the prototype and pre-production stages. The concept of the buyer wanting sole responsibility for the machines and the tools was the impetus for Donnelly and Hill’s partnership. 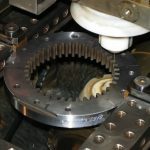 Prior to their collaboration, both Cold Forming and West Michigan Spline were at a disadvantage because Hill only sold machines and Cold Forming only sold tools. Both Donnelly and Hill needed a partner to meet the demands of their customers. They found that partnership and collaborative benefit in each other’s companies. Essentially, Donnelly said he believed West Michigan Spline made the best machine, and Cold Forming Technology made the best tools. Being that their shops were roughly 150 miles apart from one another, it seemed like it would be a natural fit for the two to create a partnership. However, having been gear machine tool builders, Gary wasn’t quite convinced that Donnelly and his team at Cold Forming would not eventually become his next competitor. A year or so went by, and Cold Forming wasn’t letting up with their desire to partner with West Michigan Spline. Hill began to feel confident that Donnelly wouldn’t infringe on his business. Cold Forming stopped making automatic loaders and began sending business Hill’s way. Hill started doing the same for them. The two even shared an exhibitor booth at a trade show. Before long, the two companies were promoting each other. The issue of trust doesn’t come up anymore, and Hill’s relationship with Cold Forming is stronger now more than ever. For Hill, his main focus has been building and sustaining communication efforts between his shop and Cold Forming. Today, this partnership has helped both companies grow to be industry leaders in spline- and thread-rolling, among other things. Cold Forming has become a leading supplier of splines, shafts, and other tooth forms while also providing production rolling for customers who are proficient in turning and producing short-run and service rolling for those who can’t afford to break into production. 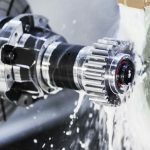 They are the “emergency supplier” for companies that require any volume of production during machine breakdowns or other unexpected calamities whereas West Michigan Spline is the go-to company when these calamities happen with services and parts and the knowledge on how to resolve spline rolling issues is required. 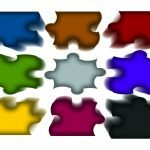 Eventually, each company’s growing reputation and commitment to service resulted in customers asking each company to expand into other areas. For example, West Michigan Spline now produces facing and centering machines, which are both standard and to customer-specific designs. As Donnelly and Hill began taking advantage of cross-promoting one another, the cooperative benefit became apparent — sales increased for both companies. Cold Forming Technology continued to grow in its production of prototype shafts and other parts its customers were having delivery and quality issues with as well as production rolling specialty parts. This expansion led to another area of growth — emergency spline rolling. While growing the company in these new areas, Donnelly and his team often hear of new programs before the machine builders did. Similarly, West Michigan Spline would often hear of programs that Cold Forming was unaware of due to its expansive customer history. Through their partnership of cross promotion, Donnelly and Hill both let the other know when new opportunities arise within the industry. Hill’s machines have opened the doors for a larger array of parts that can be spline rolled due to the flexibility and cost-effectiveness of his weldment design. 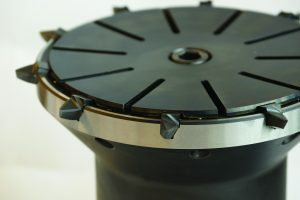 Parts that were previously produced through hobbing or shaper cutting can now be spline rolled, which allows the customer to save on overall costs and provides additional tooth strength. 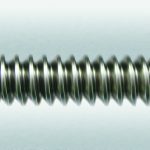 Additionally, Hill’s successful weldment design has allowed West Michigan Spline to expand into the centering and facing areas, which are complimentary to the entire shaft producing process. 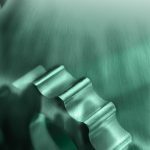 Today, the cooperation between Cold Forming and West Michigan Spline — which includes promoting each other’s products and combining tools and machines from both shops to meet customers’ needs — has been going on for almost 20 years and has made both companies stronger and more competitive within the gear manufacturing industry. Donnelly joined National Broach and Machine Co., Inc., in 1968 and was appointed as president in 1983. 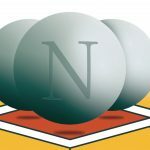 During that time, and through 1985, National Broach was a part of Lear Siegler, Inc. Thinking that the company was for sale, Donnelly and a few of his partners vied to take the company private through a leveraged buyout. Lear Siegler agreed, and National Broach was theirs. However, in 1987, Donnelly and his partners were approached by a company based out of the United Kingdom, and they agreed to sell. That’s when Donnelly and his partners set their eyes on the spline- and thread-rolling industry. Throughout his four years owning the company with a couple of internal partners, Donnelly made direct overtures for a direct acquisition to get them instantly into that spline rolling field. They didn’t have any intentions of selling the company, but when it did happen, they were all in their late 40’s and too young to retire. 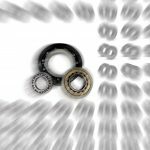 However, Donnelly realized his desire to get involved with a business in the machine tool industry on a much smaller scale than National Broach and to have that business to include spline and thread rolling. Industry leaders at the time had grown complacent. 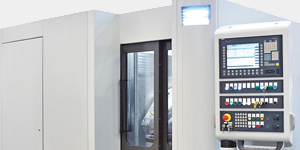 There was no pressure for them to increase tool life and reduce costs. Donnelly seized that opportunity. Cold Forming’s time had come. So, Donnelly and his team started buying equipment. The demands for increased tool life, cost savings, and better quality were necessary to help customers compete in the growing world markets, and Cold Forming was prepared to meet those needs. 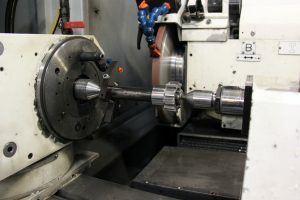 The company’s next phase involved customers requesting to have parts made that required rolling of the spline as opposed to having it hobbed or shaper cut since they could handle the preliminary operations on their own. Donnelly and his team at Cold Forming obliged to this demand. Soon, they were getting rolling orders in for anywhere between 500 and 10,000, and they were able to turn those around in a couple of days due to the large number of spline rolling machines they had available. This led to their ability to serve customers in emergency rolling situations where orders as high as 200,000 had to be filled. It wasn’t long before Donnelly and his team at Cold Forming were faced with a dilemma — do they continue to grow their tooling business and start designing rolling machines? Donnelly decided that Cold Forming needed to be the best at what it did and grow in the tool business. 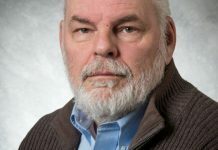 So, he left the machine-side of it to Hill at West Michigan Spline, Inc.
West Michigan Spline, Inc., was created the same year as Cold Forming, but unlike Donnelly’s company, Hill didn’t have the team of experienced professionals behind him. Until 1991, when he hired his first employee, it was just Hill doing service consulting and design work by himself on a drafting table. However, as his company steadily grew, Hill remained committed to building spline rolling machines. Hill knew that the loading of the larger 36-, 48-, and 60-inch tools was a difficult and often a dangerous situation that required hoists, cranes, or even fork lifts to load tools that could easily weigh a couple hundred pounds each. He also knew that the industry standard tie bars that kept the machine from expanding during the rolling process were both unnecessary and burdensome to the machine set-up people when loading the larger tools. Although the early industry designs for spline rolling machines were made from weldments, the industry standard was castings. The problem was that castings required costly modifications to the patterns for even the most minor of changes, which subsequently caused delivery delays and additional costs. That’s where Hill’s weldment idea came into play. Hill decided to design and build spline rolling machines using welding construction that was just as rigid as a casting without including the tie-bars. This design, which can be easily modified, could be delivered sooner and was more competitive. 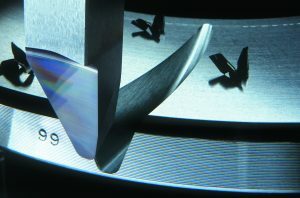 It was a base structure that resembled several gap press frames held together with his weldment technology. However, Hill was skeptical to jump into business with Cold Forming. He had been burned by larger corporations in the past, especially when it came to his ideas for gear manufacturing machines. In fact, one of Hill’s old employers worked at Cold Forming in its early days. He was weary of letting the past repeat itself. And, at the time, he wasn’t sure if Cold Forming would just end up being his next competitor. 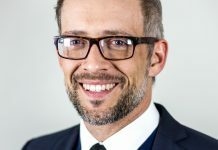 But then, after years of communication and building trust and after his previous boss had left the company, Hill opened up to the possibility of a partnership with Cold Forming. The two even shared an exhibitor’s booth together at a trade show in Detroit. That was nearly 20 years ago.